We welcome the opportunity to develop our relationship with Clients and are delighted to present Caley Construction Limited. Caley Construction Ltd have established an enviable reputation at the forefront of civil engineering and landscaping. High quality public realm streetscape works are delivered nationally within major town and city centre environments. We are recognised specialists in pavement technology and in the use of natural stone materials. Also, a respected grounds maintenance provider and BALI award-winning hard & soft landscape contractor, we offer unparalleled management and operational capability across these disciplines. Our experience and expertise in similar works is extensive. The Aberdeen Science and Energy Park Advanced Avenue Planting Contract Works was successfully delivered on behalf of Scottish Enterprise Grampian. Various remote footway and cycleway projects have been delivered on behalf of our public sector partners. 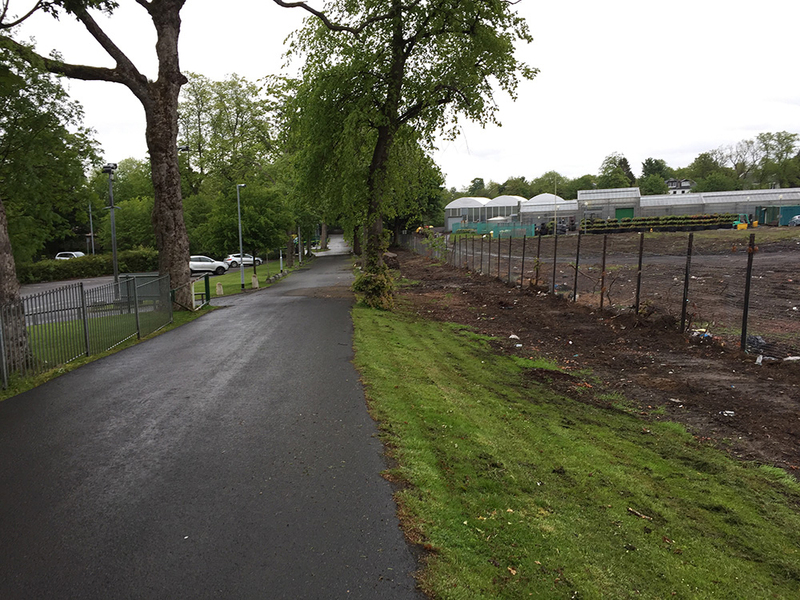 The £750,000 Clyde Walkway Crossford to Mauldslie project was successfully delivered on behalf of South Lanarkshire Council. At Fauldhouse New Deal candidates have been engaged via West Lothian College as part of the Councils broader social inclusion objectives in addition to numerous other training initiatives and employment programmes. The public sector accounts for some 70 percent of Caley Construction Ltd’s annual turnover. We have focused our business development strategy on long-term relationships with best practice clients who promote a quality-driven agenda in their procurement and selection process and are committed to delivering best value through quantitative assessment aimed at achieving an appropriate balance between quality and cost. We provide services across Scotland in partnership with local authorities, enterprise companies and registered social landlords. We have cultivated a partnership approach to securing best value for our client partners. A customer focused ethos permeates every level of our organization and is inherent in our culture. Our philosophy is to operate at all times in a spirit of mutual trust and co-operation avoiding damaging disputes and conflict at all costs. Committed to business excellence, our management structure, processes and procedures establish a framework for efficient, effective and economic service delivery within a culture where health, safety and welfare is paramount. Construction is underpinned by the principles of sustainable development to encourage prudent use of natural resources, secure effective protection of our environment and reduce our ecological footprint. Caley Construction Ltd combine Civil Engineering, Hard and Soft Landscaping experience and capability that will ensure a benchmark of best practice consistent with the prestige of any project. We are committed to the delivery of quality projects right first time, to programme and with cost certainty, and if successful in being appointed as principal contractor for any project will deliver on this commitment.